Called the “king of his instrument” by the New York City–based journal The New Criterion, Stefan Dohr is widely regarded as one of the world’s greatest horn players. In addition to being principal horn of the Berlin Philharmonic, Mr. Dohr has collaborated as a soloist with the world’s leading conductors, including Sir Simon Rattle, Claudio Abbado, Daniel Barenboim, Bernhard Haitink, Christian Thielemann, Daniel Harding, Ingo Metzmacher, Neeme Järvi, Paavo Järvi, Tadaaki Otaka, Dima Slobodeniouk, Kazushi Ono, Gustavo Gimeno, John Storgårds, and Marc Albrecht. He has performed concertos with ensembles such as the Berlin, Los Angeles, Osaka, Oslo, and Shanghai philharmonic orchestras; Berlin Radio, Swedish Radio, and NHK symphony orchestras; Mahler Chamber Orchestra; Spanish National Orchestra; Deutsche Kammerphilharmonie; and Orchestre de chambre de Paris. As well as performing the great classical and romantic works for horn, Mr. Dohr is continually expanding his instrument’s repertoire by commissioning and premiering new pieces by today’s foremost composers. In recent years, this has included works by Herbert Willi, Jorge E. López, Johannes Wallmann, Dai Bo, Toshio Hosokawa, and Wolfgang Rihm. A proliﬁc chamber musician, Mr. Dohr is a permanent member of the Ensemble Wien-Berlin, Berlin Philharmonic Chamber Music Society, and Berlin Philharmonic Octet. He has appeared at the Lucerne, Salzburg, Rheingau, and Baden-Baden festivals, and he has performed alongside prominent artists such as pianists Maurizio Pollini, Lars Vogt, Markus Becker, and Kirill Gerstein; tenors Ian Bostridge and Mark Padmore; and violinists Kolja Blacher and Guy Braunstein. Stefan Dohr’s extensive discography includes The Yellow Shark with Frank Zappa and Ensemble Modern (Barking Pumpkin Records), Schumann’s Konzertstück for Four Horns & Orchestra with Paavo Järvi and the Deutsche Kammerphilharmonie (RCA Red Label), Toshio Hosokawa’s horn concerto Moment of Blossoming with the Royal Scottish National Orchestra (Naxos), Franz & Richard Strauss: Music for Horn and Piano with Markus Becker (Campanella Musica), and Mozart: The Complete Horn Concertos with Camerata Schulz and Weber’s Concertino for Horn & Orchestra with the Munich Radio Orchestra (both on the Camerata label). Throughout the remainder of the 2018–19 season, Mr. Dohr performs with the BBC Philharmonic, Barcelona Symphony Orchestra, and Lapland Chamber Orchestra as both soloist and conductor. Future seasons include concerto appearances with the Seoul Philharmonic Orchestra and Kammerakademie Potsdam and the Berlin Philharmonic’s performance of Helmut Lachenmann’s upcoming piece for eight horns and orchestra. 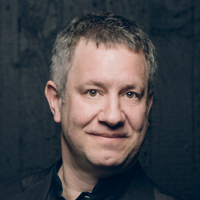 In 2020, Mr. Dohr appears again as soloist with the Berlin Philharmonic, performing the world premiere of a new horn concerto written for him by Hans Abrahamsen (winner of the 2016 Grawemeyer Award for Music Composition), with further performances with the NHK Symphony Orchestra and the Netherlands Radio Philharmonic Orchestra.